One of the most frustrating elements of fitness is that it can be very difficult to gain a significant amount of muscle mass. We’re not talking about being a bodybuilder here, but 5-10lbs of new muscle would be a welcome addition to the physiques of most gym goers, at least on an aesthetic level. Your training age is how long you’ve been lifting weights. If you’re a newbie, you will be able to gain more muscle faster than if you’ve been lifting for many years. The amount of testosterone and other muscle building hormones in your body can vary because your lifting regimen does not help elicit a testosterone response (i.e. not lifting legs, or not lifting heavy enough), or your body simply doesn’t produce as much testosterone…which brings me to the next variable. There is a concept of a genetic bell curve, which I discussed in the maximum muscle potential article. To summarize, some men are naturally inclined to build a lot of muscle because of factors such as hormonal balance, or the thickness of their frames whereas others have trouble building much muscle no matter how hard they try. Most people of course by definition (roughly 68%) are genetically average. If you are 180lb then you decided to train for a marathon, you may lose a solid 20lb of muscle. So how long will it take you to gain back those 20lb of muscle back? Answer: Not long at all. Maybe only a 1-2 months, because your body has a mechanism for restoring the previous homeostasis, which is often referred to as “muscle memory”. Heavy duty supplements like steroids, or other potentially harmful, performance enhancing substances that can help you build muscle much faster, but I’m assuming you are far too smart to do that! Other less dangerous, but still potentially harmful substances like Creatine can aid in muscle growth as well. Read through our whole Strength 101 series. You should be keeping whichever program you are doing to no more than 1 hour of duration. Be sure that you are focusing on keeping the intensity high rather than making the workout drag on. Your body is pre-programmed with your genetic disposition. And in your case, you have a very fast metabolism that digests and burns calories quickly. Focus on having 5-6 calorie-dense meals a day spaced 2-3 hours apart so that your body is constantly being provided with something to metabolize and build muscle. You have to understand, a supplement is exactly as the name implies…A SUPPLEMENT. It is not going to make or break your gains in the gym. The only supplements that we recommend are protein powder and perhaps some Gatorade after workouts. Learn to relax a bit more and try to limit activity outside of the gym as much as possible when outside of the gym so that your energy is put forth to good use. Most people think they are eating a lot and you just may be. But no matter what you are eating, if you are not gaining, you are not eating enough. Most times, you should re-evaluate your diet as well and focus on more calorie dense foods. But you need to eat more if you are not gaining. I would suggest changing the rep range every 4-6 weeks to avoid plateaus. Changing the repetition range will make your body adapt to the new stress causing you to gain weight in the form of muscle. 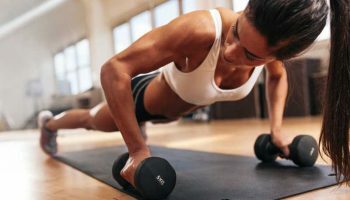 Most workouts for your major body parts should start with basic, multi-joint strength training exercises that allow you to lift more weight overall, such as the bench presses for chest, overhead presses for deltoids, barbell rows for back and squats for legs. Doing high-intensity workouts is the key to building muscle. Light workouts, even if they’re long, don’t go nearly as far to produce the right conditions for your muscles to break down and rebuild. Plan on doing 30-45 minute session 3-4 times per week (every other day). Lift the weight quickly but lower slowly. To develop precise technique, do every rep with good form. Beginners, strive to keep the rep target inside your strength capabilities. Find the right groove for each exercise. Don’t train to failure when you’re just starting out. You don’t want to work out the same groups with every workout, or you’ll end up damaging your muscles. Rotate muscle groups so that each time you work out, you’re putting in an intense hour working on a different group. If you do the same thing over and over each time you work out, you’re not going to make progress. You need to be adding weight, and when you plateau with the new weight, switching up your exercises. For someone with a fast metabolism, the rest period is almost as important as the workouts. Your body needs time to build muscle without burning a lot of calories doing other activities. Research confirms that tuning in to the mind-muscle connection can optimize your results in the gym. Instead of focusing on your day, or the blonde next to you, strive to get into a muscle-building mindset to help increase gains.